Tile Space has launched a new range of industrial and metropolitan inspired porcelain tiles, by Diesel. 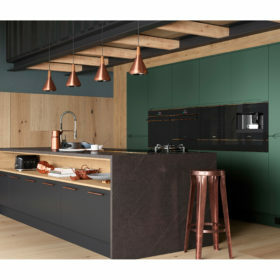 The collection has 5 ranges, including a new take on the classic subway and a realistic look of timber pressed concrete. 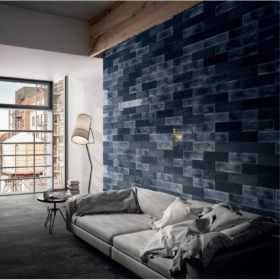 Available exclusively from Tile Space, they give a moody, urban feel to a space. 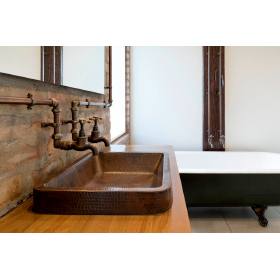 Add the warmth of cedar to your bathroom with a one-of-a kind statement piece that will stand the test of time. 100% hand crafted in NZ by skilled artisans. Coated in a marine grade clear coat to provide water tightness and durability. 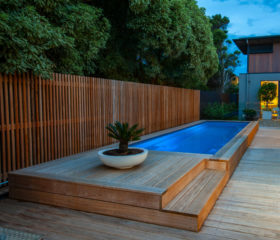 New Zealand’s leading pool builder, Narellan Pools, has extended their designs to include a Free Standing Pool Range featuring designs from across the brand’s Ranges - up to 9.3m in length - to suit every backyard, style and budget. 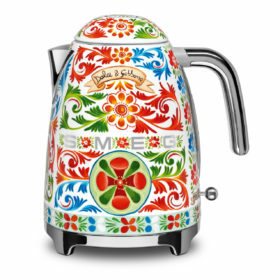 Smeg with an unmistakable Dolce&Gabbana touch. Forté are exclusively bringing Millboard decking to New Zealand and there’s nothing else like it. 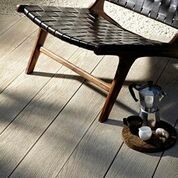 Millboard offers the look and feel of a wooden deck without the flaws of being a natural product. Hand-moulded from genuine timber grains, the wood-free composite decking is stain, fade and slip resistant and is extremely low maintenance. CINIER Stone Radiators redefine the aesthetics of heating. 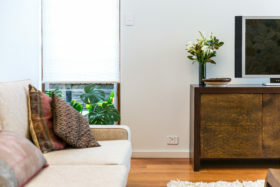 The typical radiator heater or heat pump does not do much for styling a room. Gas or Wood burner fires are seasonal and do not provide any visual benefit when not in use. 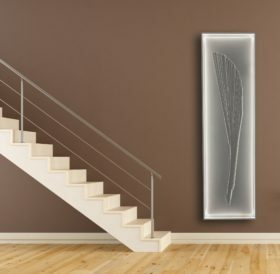 CINIER Stone Radiators change this by becoming a piece of art, and mood lighting. 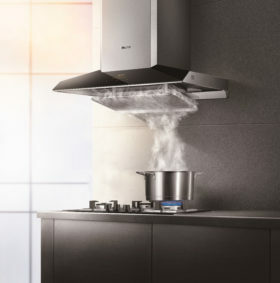 Portofino is Smeg’s most technologically advanced freestanding cooker to date, with cooking results, safety features and energy efficiency second to none. 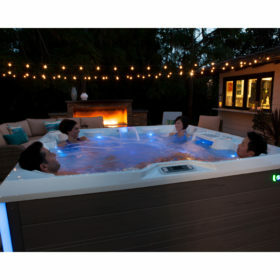 Meet the new Limelight® range from Hot Spring® Spas. The crisp, clean design opens to a spacious interior where each seat is shaped to follow the body’s natural contours for added comfort. Carefully placed massage jets provide full-body therapy. Innovative lighting system creates a special ambiance. Enjoy the perfect soak! 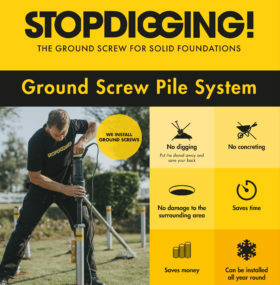 Revolutionising the way decking, fencing and shed/cabins/pods/sleepouts are Installed. 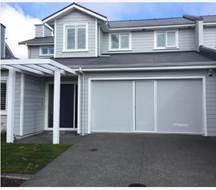 Our system saves time and effort and adds up to a cleaner, quicker construction process! 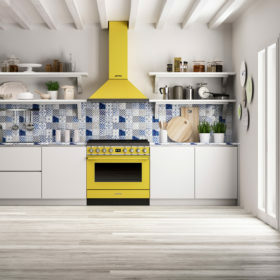 Dolce Stil Novo is an extremely structured range made up of 60 and 45 cm ovens, multi-functional drawers, gas, induction and mixed hobs, hoods, wine cellars and coffee machines, allowing a wide variety of combinations to be obtained. 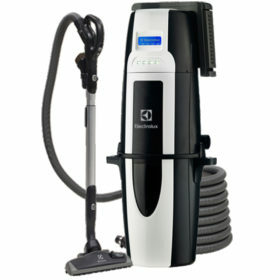 Quiet and powerful motors, integrated silencers, Gore-Tex standard filtration with the option of a true HEPA fully washable filter, 31ltr easy lock buckets as well as a streamline design, putting all this together with the new ErgoGrip Variable Speed 4 piece cleaning set, makes the Electrolux™ Oxygen® series a must have for any new or existing home. 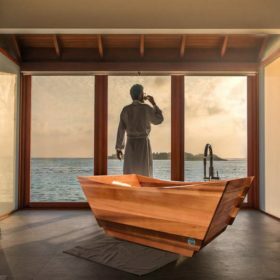 The release of Kohler’s Veil, in a wall faced design, is the ultimate pairing of pure, ergonomic design and customised personal cleansing, operated via a touchscreen LCD remote control. Every aspect of the Veil toilet experience is hands free – including an auto, touch-less flush - with a focus on absolute comfort. The cover and ergonomically designed seat are motion-activated while the temperature of the heated seat can be adjusted for optimal comfort. 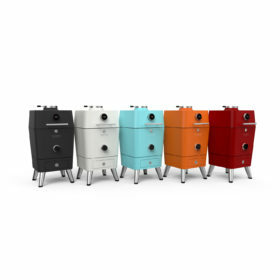 Inspired by the 4,000-year tradition of Kamado-style and man-made ceramic clay cooking, the 4K was developed with the appreciation of age-old technique and combined with the intelligence of modern design and technology. The 4K’s unparalleled airflow control system makes turning the heat up or slowing it down a unique experience. 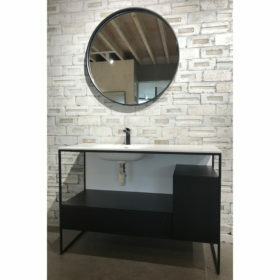 The aesthetic and practicality of this luxury matte black, steel framed vanity is next to none. 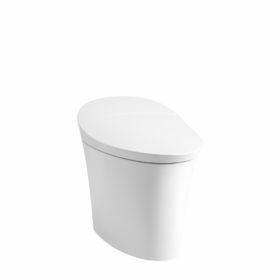 Subtle yet extensive storage space suited to any bathroom. Designed to match the modernism of the latest trending products in the industry, this vanity paired with our Round Mirror completes an effortlessly perfected interior. Our 60 years of designing kitchen appliances have taught us exactly what works well in a dishwasher. Through careful research and understanding of how people use these products, we have developed dishwashers that are exceptionally efficient, durable, and attractive. The Lifestyle Garage Screen is an easy-to-use, affordable and fully retractable unit that brings the outdoors in, creating a new comfortable outdoor living space for your home. 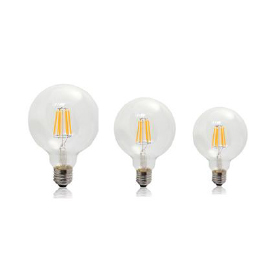 The Ata Touch LED Lighting solution is designed to superbly light and beautifully decorate your home. 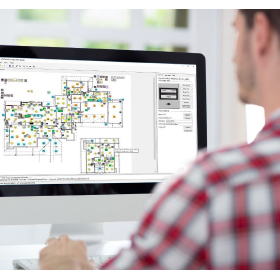 The Ata Touch LED Lighting range includes: ultra-thin LED down-lighting, bulbs that will go into most of the common light fittings (E27, MR16, GU10), feature lighting, passageway lighting, bench lighting, strip lighting, outdoor lighting, and path lighting. 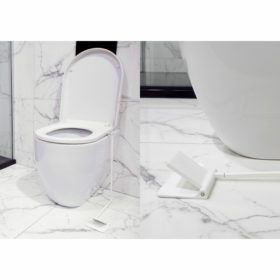 The Kiwee Lifter is the new and exciting product hitting your bathrooms this season! In our world of convenience and hygiene, The Kiwee Lifter is the perfect accessory for your bathroom with its handsfree, hygienic application. Solving that age-old problem of leaving the toilet seat up, The Kiwee Lifter is the amazing new product that’s Kiwi Designed by a proudly-owned Maori Whanau from Tai Tokerau, Northland. 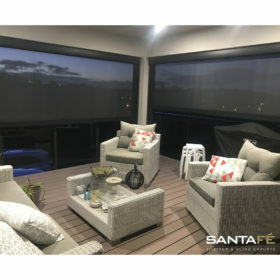 Santa Fe’s new Windmaster Blinds are attractive and easy to use. They are designed to stand the test of time with no ropes, zippers, buckles or straps. These exterior blinds add an air of style to your home and are perfect for enclosing large decks, patios and balconies to create a functional and stylish outdoor entertaining area. 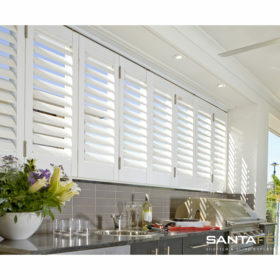 Santa Fe’s new Exterior Aluminium Shutters are a great way to add value to the outdoor space of any home. They are perfect for creating that dream outdoor entertaining area that can be used all year round, or to create a private low maintenance oasis in your backyard. 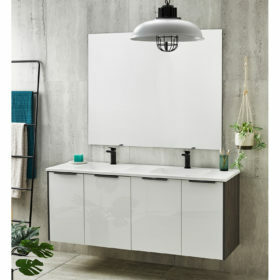 The Nikau Vanity by Clearlite is available in a variety of sizes and bowl configurations. Combine a coloured finish with Ultra Gloss White fronts to produce a stylish contrast and upgrade standard Brushed Silver handles to Gun Metal or Black. 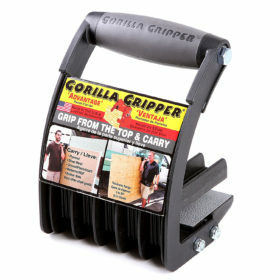 IBS Gorilla Gripper is the ultimate tool when it comes to carrying plywood, drywall, melamine, sheet metal, MDF, OSB and all other sheet goods from paper-thin up to 22mm thick. It can easily turn a two-man into a one-man lift. 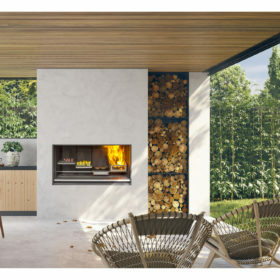 Escea’s latest outdoor release, the EK Outdoor Fireplace Kitchen, comes equipped with everything you need to achieve a smoky meat lover’s feast - an Ember Generator, 13-point adjustable cooking plates, grills and meat hooks. Best of all, once the flame cooking is done, it all hides underneath a stainless steel draw. Leaving you with a roaring outdoor fire to relax in front of into the small hours. 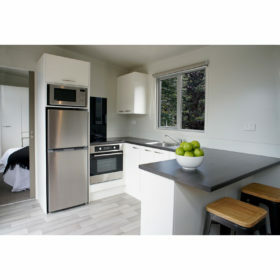 The new HouseMe Deluxe 1 Bedroom transportable Home is a self-contained unit with built in Kitchen and Ensuite. This unit is 10.4m x 3m and features several optional upgrades. Priced at $64,000 this unit is a competitive market leader. 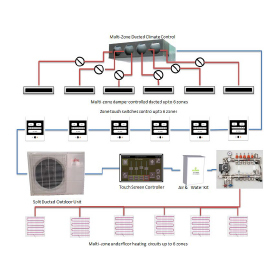 Air & Water Advanced DHW, SPA, and UFH provides a low cost means of climate control for your home and also heating your domestic hot water, or spa pool, or under floor or radiator (hydronic) heating system, - all powered by one standard Fujitsu LHTDP split ducted heat pump. 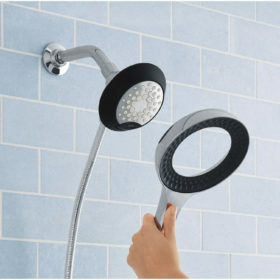 Converge – it’s the very latest in showering technology! This piece of ingenuity sees sleek design converge with space-saving smarts to create a truly multifunctional showerhead that features a cleverly integrated hand shower. Converge, with its innovative 2-in-1 space-saving design is an exciting development for all those who love a luxurious, ultra-responsive shower but may have less space than they wish! The release of this product coincides with Kohler’s 145th anniversary – 145 years of ongoing revolutionary design and innovation for the bathroom. Designed and made in Denmark using the best Danish solid wood. The architecturally inspired IKON is designed to complement rather than distract from its surroundings. The IKON features superyacht decking, composite architectural panelling, advanced touchscreen and app control, open seating and perfectly placed jetting for the best spa experiences. 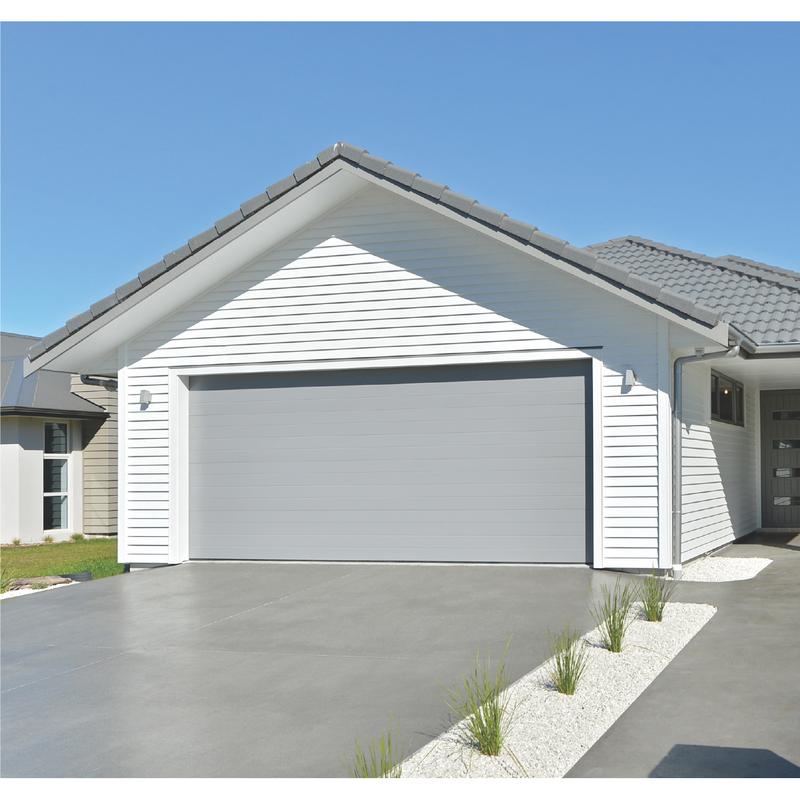 Kitchen cabinets and stones are proud to be the first in New Zealand to bring you PET-foil doors. Boasting a high scratch resistance and UV-stable colours, the PET foil is also Pvc and Phthalate free. The ultra smooth matte finish is something you have to feel to fully appreciate. Now offer a 10 Year Total Confidence Warranty! Dominator Doors and Openers are designed, tested and proven to work in unison - Quality you can trust. Talk to us at STAND 785, it’s easy to transform your garage with Dominator. 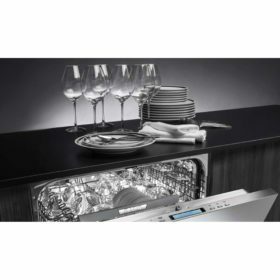 Brandt is the French premium quality appliance brand! 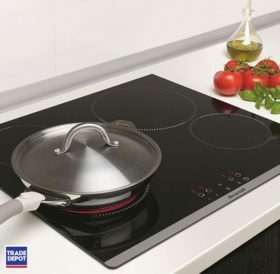 French style combined with innovative technologies like Zoneless Induction cooktops, Quattro Pulse and Smart Assist will enhance your cooking experience and impress your friends. Whatever today brings, you can rely on Brandt for the ultimate dinner party. Ata Touch’s Mobile App (Ata Mobile App) works on Android and iPhone. 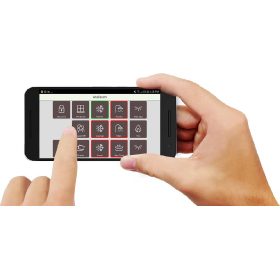 The Ata Mobile App gives you exactly the same user control interface and features that you have available on your Touch Screen Controller. If screen changes are made the Ata Mobile App will automatically adapt to mimic the changes. Our 100% Pure Cherry Juice, is a delightfully refreshing drink, with no added sugars or preservatives. A daily 50ml - 100ml serving may help assist with sleep, gout, joint pain and inflammation, among other things. 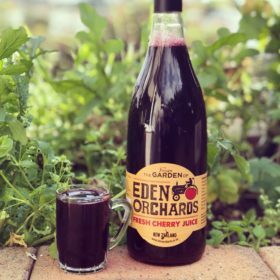 Hot or cold, Eden Orchards Cherry Juice is a must have in everyone's cupboard! Iconic style meets clever efficiency. 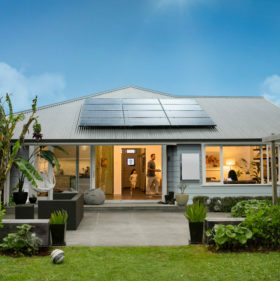 From standard switches, to simple smart home functionality, PDL Iconic is the new standard in modern living. With different colours and finishes that complement your décor, and additional options like Bluetooth connectivity, PDL Iconic is the irresistibly future-proof choice for a modern, connected home. 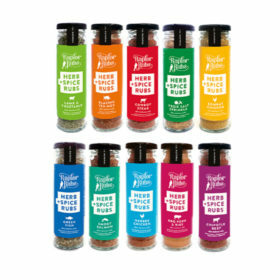 100% pure, artisan crafted New Zealand made Herb & Spice Rubs. Amazing flavour, exceptional quality and freshly ground ingredients. A super quick way to add natural flavour to any meal. No cheap fillers, free-flow agents, artificial colours, flavours or preservatives. All our blends are vegan, free from gluten, MSG, dairy, soy and nuts. 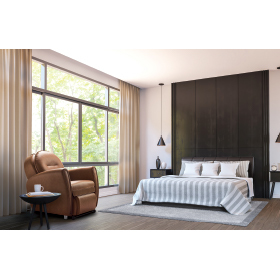 Use your smart phone to connect and control the Brockman lounge suite from the Smart Comfort app. 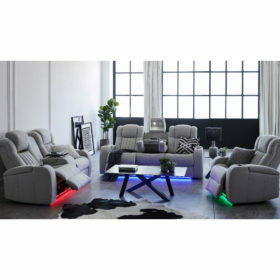 Exclusive to Harvey Norman, the Brockman allows you to personalise seat recline, lumbar, headrest, lights and more! Relax in comfort all from the convenience of your phone. Launched to great acclaim and garnering international accolades, Kohler’s ModernLife toilet suite has been recognised for its revolutionary approach to hygiene and ease of cleaning with the prestigious international Red Dot Design Award. 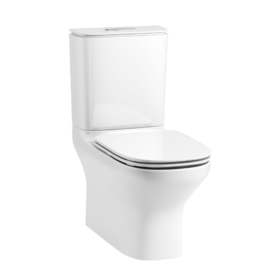 The key feature of the ModernLife back to wall toilet is its truly rimless bowl – a first in the Australasian market. In taking rimless technology to the next level, Kohler has introduced a beautifully engineered pan featuring a bevelled and chamfered edge. This bevelled edge is finished with Kohler’s patented CleanCoat™ technology. 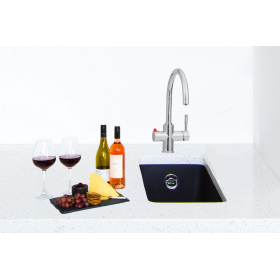 Versatap supplies near boiling water from a handle with safety lock, from the other handle cool filtered drinking water and warm water to fill the sink is supplied. The boiling unit has an electronic temperature adjustment, with easy-to-read LCD screen. The easy change filter is high capacity ensuring great tasting water, at a high flow rate. Have you noticed that no home office desk has built-in drawers moll T7 is the first range of desks for the home office with an integrated drawer. 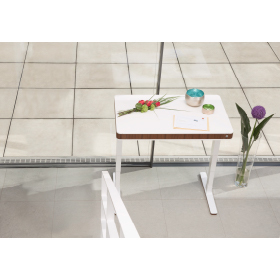 The drawer fits seamlessly into the overall look of the table. 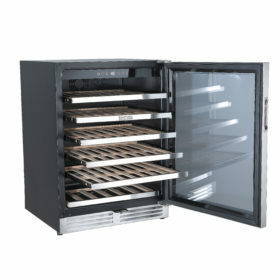 With the push-to-open mechanism, the drawer can be opened by gently pressing against it. The Babylock Imagine has the convenience and innovation you would expect from a Baby Lock. 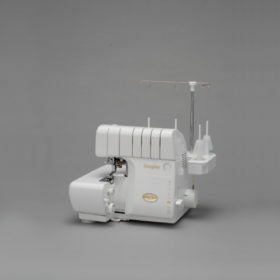 Because it's an Imagine, the revolutionary Jet-Air Threading™ has you overlocking in a breeze while the Automatic Thread Delivery System and differential feed remind you why you love to overlock with a Baby Lock Imagine. 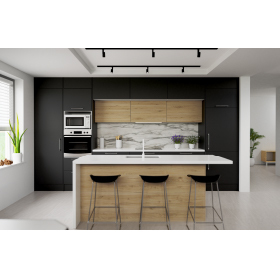 Oak furniture specialists, BespOak NZ, are launching a kitchen cabinetry range promising to re-define the way kitchens look, are planned, bought and installed in New Zealand. 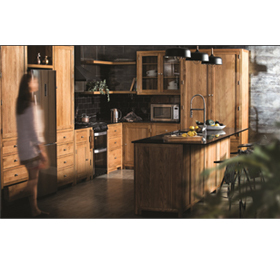 Individually designed from a range of 30 different hand-built Oak cabinets, a kitchen can now be supplied from their warehouse stock in just days. For many years now, the moll Maximo has been one of the best-selling ergonomic children's chairs. Two secret compartments and plenty of comfort bring new life into your child's room. The fabric covers can be changed and washed at 40C. The fabric covers can be purchased separately and changed easily without the need for any tools. Simply unclip the upholstery, remove fabric and put back after washing. Heyday Furniture the way we live today. HEYDAY presents casual luxury for a well curated life. High-quality,classy &affordable at the same time. A sofa is one of the top three furniture expenditures at home, and it will be with you for many years. Get a comfortable piece of #SmartSofa in your living room will definitely make a big transformation in your lifestyle! Unleash your unlimited lifestyle enjoyment.